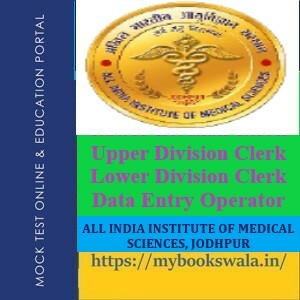 All India Institute of Medical Sciences, Jodhpur (Rajasthan) invites ONLINE APPLICATIONS for the various no faculty post of the Institute on DIRECT RECRUITMENT BASIS. · General Awareness Free Sample Test (AIIMS): Questions are designed to test the candidate’s general awareness of the environment around him and its application to society. Are You Sure You Give This Test?